Many people may be put off by the thought of Indian food and the perception of it all being monotone in color and spice. I have been going through the memory bank and all the research I have done (it’s been a lot) to help figure out a way to incorporate the long history of the cuisine and its amazing techniques into my food. I cook Indian on a regular basis and feel comfortable with the dishes I can make and most of the ingredients. When I look at a cuisine and start diving deep into it, I can get lost in the number of recipes and dishes that you can find-especially in Indian cuisine, where you have great dividing lines between north and south. However, if you cut through that and get down to fundamentals and key techniques, you can start to climb the ladder of the cuisine’s core. In Indian cooking, there is a key fundamental technique called Tadka. This is a widely used traditional method of extracting the full flavor of spices at key stages of flavor development. It is generally described in the English language as tempering. Basic tempering in Indian cuisine is the heating and cooking of dry whole spices in oil and the addition of other aromatics and powdered spices in quick succession. It is done either at the beginning of the preparation or immediately before service. The ingredients used and at what stage vary by dish and region of the country. It can be generalized that Northern Indian cooks lean toward cumin seeds and Southern Indian cooks favor curry leaves as key components of the Tadka. This process sparked a memory of classic Chinese cooking and the use of chopped aromatics such as ginger and garlic right at the beginning of a dish. This is the concept of “seasoning the wok.” I had an instructor in culinary school, Chef Lipa, who liked to use his knee to adjust the flame of the wok to high just before we would do our preparation. He would distract you immediately before you started and then when you added the ginger and garlic to the wok, you basically ended the dish with the burnt paste at the bottom. He yelled “fail” and on to the next victim he would move. He taught me so much about temperature control, being in complete control, and being fully prepared for the process. Thanks, chef! There is a similar tempering technique used at the end in Szechuan cooking where ginger, garlic and aromatics are placed raw on a finished dish and hot oil is poured over them at the last second to embellish the overall flavor. Not only does this process create flavor and aroma, it also has some nutritional benefits. The cooking of the ingredients unlocks the nutrients and extracts the full potential into the oil, and it is all transferred into the dish. So, this started me thinking about why the beginning of a recipe or the end would incorporate this technique. 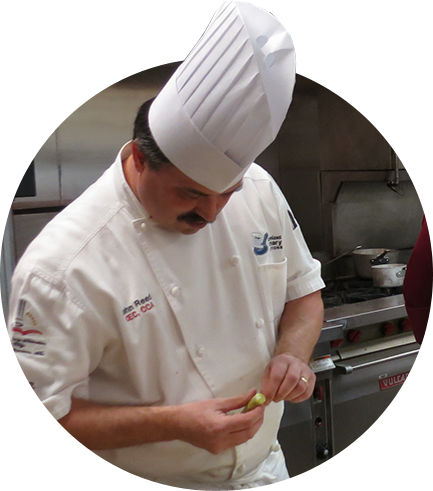 At the beginning, it is to create a depth of flavor that becomes the backbone of a dish. Hungarian goulash doesn’t work without the cooking of the paprika at the beginning. Indian Kormas and Korean soups all use some form of dry cooking of masalas, bean pastes, etc. to create depth of flavor. This longer process rounds out the sharp edges of the “raw” state of the seasonings. Using a temper at the end, or a basis for a quick sauté, gives a level of freshness and contrast to simpler dishes such as dals, soups and starches. Dishes with lots of cream, carbohydrates and fat can be complemented through a contrast of bright aromas, pungency and “rawness” created from the quick cooking of whole seeds, nuts and powdered spices that are brought alive in hot oil. If you have ever had great fresh cut French fries and they put some jarred dressing over it to make them “flavored,” you are usually disappointed. Imagine the difference if you made a quick little temper of fried garlic, dried oregano and chili flakes finished with freshly grated parmesan and lemon juice. That is the essence of tempering. Think about the possibilities the next time you make tomato soup and a grilled cheese sandwich. 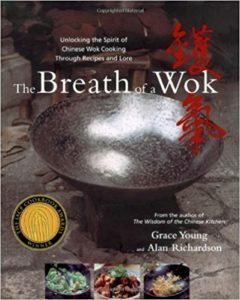 Here is a great book on the fundamentals of caring for and using a wok. It should be a life-long commitment. What to Drink with Garlic Fries? If you throw down on the garlic, you want something strong enough to stand up to this. This is great bar food anyway. Try a good West Coast IPA with Simcoe or Centennial hops. 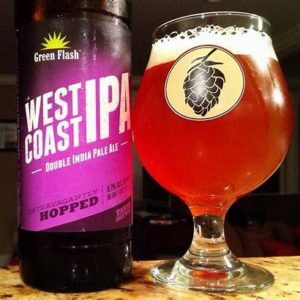 Here is one of the defining styles from Green Flash.